Port Royal was called "the richest and wickedest city in the world". It was founded in the 1650s by the first British settlers who came to Jamaica. The town grew up around Fort Charles and soon became packed with traders, shopkeepers, innkeepers, soldiers, buccaneers and pirates. There were also a number of craftsmen including carpenters, bricklayers, tailors, goldsmiths and silversmiths. 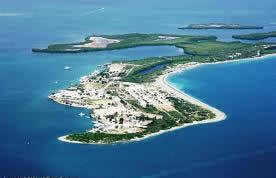 By 1690, there were between 8,000 and 10,000 permanent inhabitants at Port Royal. Some houses were three or four storeys high. Everything was available including bars, taverns, restaurants, coffee houses and brothels. At a few minutes before 12 midday on Tuesday, June 7, 1692, an earthquake struck Port Royal. A huge tidal wave destroyed ships in the harbour and carried one of the ships into the middle of the town. Many of the buildings were destroyed and most of the city disappeared into the sea. Over 2,000 people died and more than 3,000 had serious injuries. Many of the victims were swallowed up by the earth. There is a very exciting story about Lewis Galdy; he was swallowed alive into the earth by one shock and then was thrown into the sea by another shock. He swam until a boat took him up. 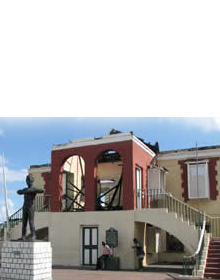 Galdy lived forty-seven years after his miraculous escape and is buried in the St. Peter’s Anglican churchyard in Port Royal. 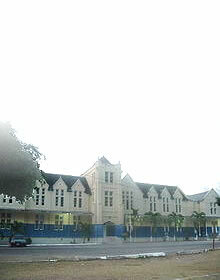 After the earthquake, the survivors went across the harbour and many settled in the new town called Kingston. Port Royal began to lose its status as a major town. A fire in 1703 and a devastating hurricane in 1722 further contributed to the full decline of the town. The sunken city of Port Royal has been kept almost exactly as it would have looked in 1692 and this has fascinated people all over the world. In 1673, a hexagonal stone fort was built at Bonham's Point and called Fort James after the brother of King Charles. It mounted 26 guns and covered the interior of the harbour. This fort was destroyed in the 1692 earthquake. Between 1678 and 1680, the vulnerable sea front area between forts Rupert and Charles was protected with construction of Fort Morgan. Fort Morgan mounted 26 guns, but it is believed that it might merely have been a battery of guns in a line along the shore. It is sometimes referred to as Morgan's Line. Built around 1888, Fort Rocky had five gun pits enclosed by a wall. Installed there were 6 inch breech-loaders designed to deny access to the harbour by submarines or armed merchant cruisers. These guns remained in place until the end of the Second World War when most were returned to England. Fort Rupert, built in 1678, mounted 22 guns making Port Royal reasonably secure against a seaborne landing anywhere along the area to the east. Fort Rupert became known after the English revolution of 1688 as the 'sea fort'. This Fort was destroyed in the earthquake of 1692. The last of the number of forts to be built in Port Royal before 1692 was Fort Walker. It was built in the 1680s north of Fort Charles. 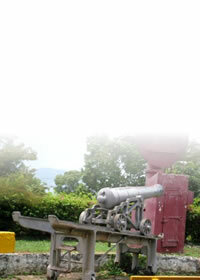 Fort Walker mounted 18 guns and was named in honour of Colonel Walker, the commander of Fort Charles. With the completion of Fort Walker, the town of Port Royal was ringed by a powerful chain of defensive structures. "Any potential enemy coming up from the east would have to pass the fire of forts Rupert, Morgan, and Charles when he was still in the narrow sea channel, and then, rounding the point would have to contend with forts Walker and James." This Fort was destroyed in the earthquake of 1692.